Menopause marks the end of the menstrual cycle for a woman. It is the start of hormone changes, and these changes can also have an impact on teeth and gum health, particularly through decreasing levels of estrogen. – Low levels of estrogen can mean a dry mouth, which may increase risk of cavities. 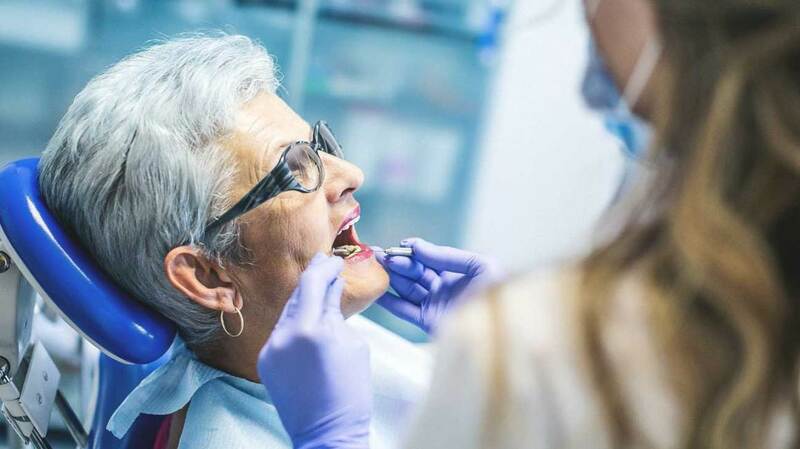 – Gum disease can be worsened by menopause, so a dentist should be consulted as it is treatable. – The alveolar bone supporting the teeth can become less dense, increasing risk of loose teeth.